Over the course of the last month I have created video tutorials on the components that ship with Pragmatic Works Task Factory suite of SSIS components. There are two though, that unfortunately I’m not able to cover, but I did want to make sure everyone was aware of. 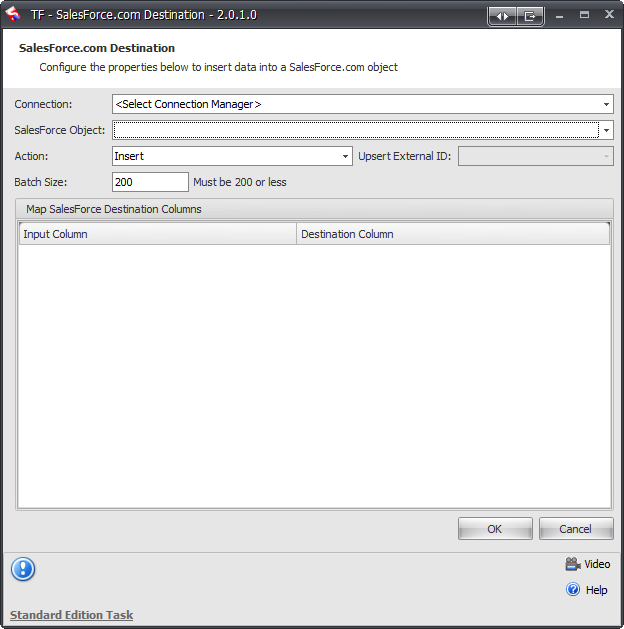 Those are the SalesForce.com Source and Destination components. As with most of the tools in Task Factory, you simply pick the connection manager, pick the object to connect to, supply and parameters, and pick what you need. Just that simple and straight forward. Again, simply create a connection, pick the target object, map the columns and away you go. Since I don’t currently have a way to communicate with a SalesForce.com environment, as of this writing we’ll have to settle for a few screen shots. I believe though they will convey the simplicity of the product. Most importantly though you are now aware of these handy components, something you’ll find invaluable if you deal with SalesForce.com. In a previous video we looked at the SharePoint Source component, one of the many components in Pragmatic Works Task Factory suite of SSIS tools. We saw how easy it was to extract data out of a SharePoint list. What though, do we do if we need to push data into a SharePoint list? It turns out it’s every bit as easy, using Task Factory’s SharePoint Destination component. Microsoft SharePoint has taken the enterprise by storm. A staggering number of corporations today are using SharePoint as their collaborative and information backbone. A tremendous amount of information is being stored within SharePoint lists. As such, it’s becoming more and more important to be able to quickly and easily extract the data in those lists and bring it into other platforms for analysis, reporting and storage. SQL Server Integration Services seems like the ideal tool for moving and transforming this type of data around, but accessing data in SharePoint lists is not a trivial task. Unless of course you have Task Factory. Task Factory is a suite of SSIS components from Pragmatic Works. In this video, we’ll look at the SharePoint Source component. For any ETL developer, updating dimensional data is the heart of what you do. Using out of the box SSIS components, however, is an unattractive proposition. You either had to use the built in SCD wizard, or use the "roll your own" approach. As any veteran BI developer knows, the SCD wizard isn’t the best in the world, primarily due to it’s reliance on the OLEDB Command task. "Roll your own", in other words handling all the logic yourself, works, but is time consuming to develop and often confusing to maintain. A far, far better solution for handling Kimball SCD is to use the Task Factory SSIS Dimension Merge Slowly Changing Dimension transform. While it’s name is rather long winded, it’s definitely worth the breath. In this video we’ll take a look at the Dimension Merge Slowly Changing Dimension in action. Task Factory is a suite of SSIS components available from Pragmatic Works. In this video we’ll look at the Update Batch Transform. Updating data can be a real pain. You either have to setup a special staging table in your database, then update from it, or use the slow OLEDB command. In this video we’ll look at a better solution, Task Factory’s SSIS Update Batch transfrom. Task Factory is a suite of SSIS components available from Pragmatic Works. In this video we’ll look at the Data Validation Transform. In past videos we looked at using the various Data cleansing transforms to clean up data coming into our SSIS package. What if you didn’t want to clean that data? Instead, you may just want to validate the data, then take some action based on that validity. 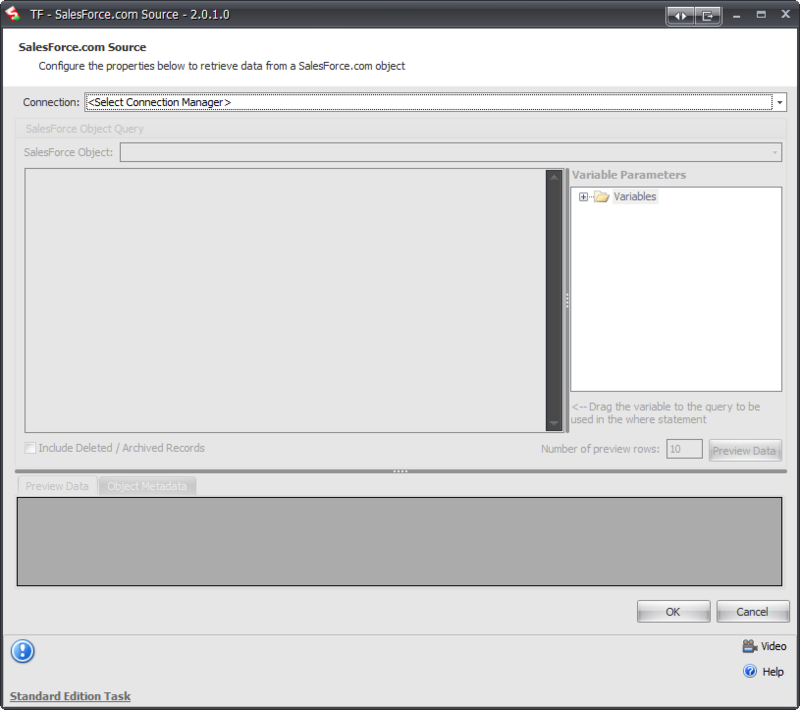 To accomplish that, we can use the Task Factory SSIS Data Validation transform from Pragmatic Works.